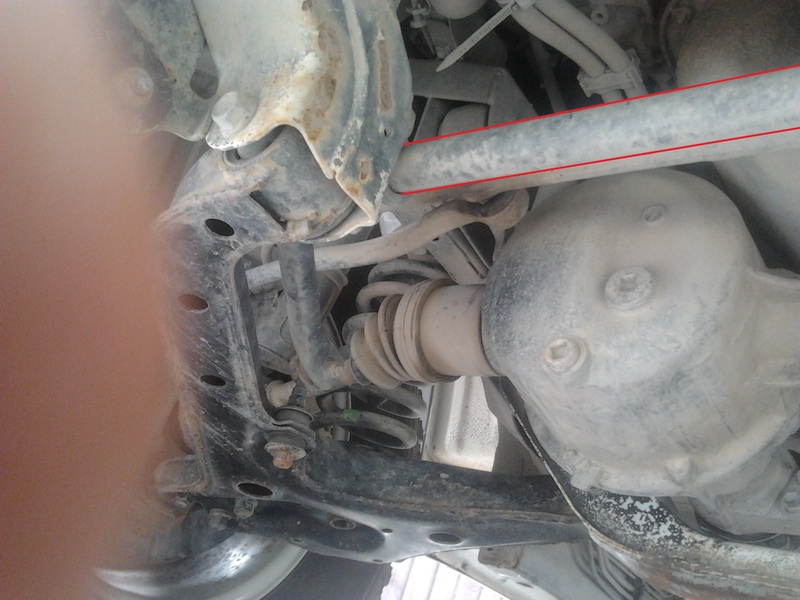 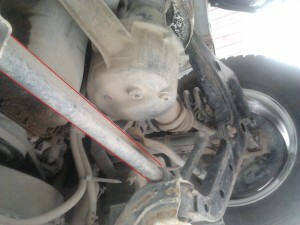 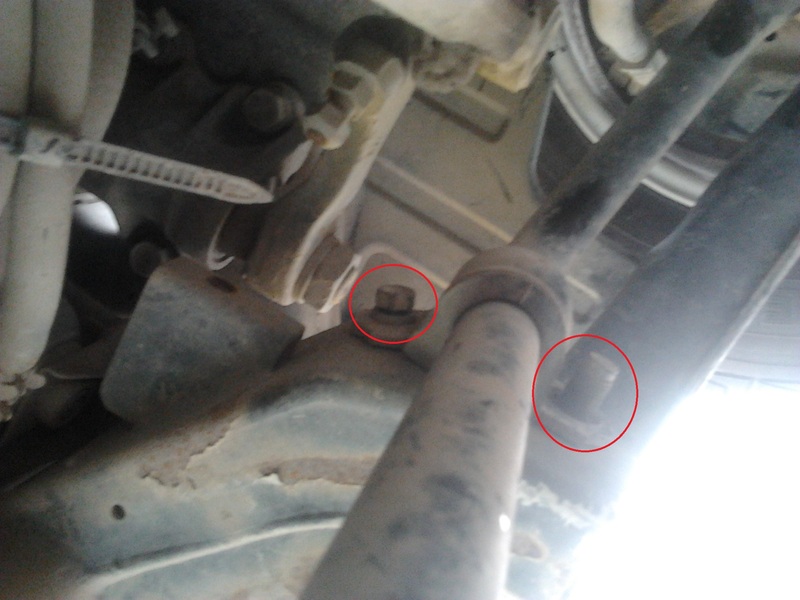 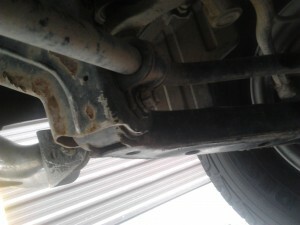 A few questiosn have come in regarding the sway bar on Trackers/Suzuki Escudos – particularly how to remove them. 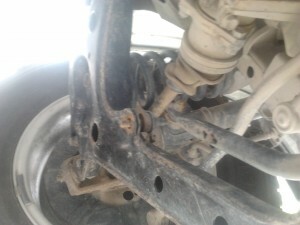 The outcome of this is increased attenuation and sadly, increased body roll in turns. This is advantageous in offroad driving but can have a negative impact if the majority of driving you do is in-town. 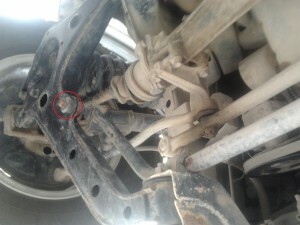 Without splitting hairs, most offroad enthusiast will tell you to remove it and in my case this has helped my tonka’s ride on-road to be a little smoother while on-road it is now more capable off-road. My rig is the 1600 3 door model and running the v6 springs for a little more hight. 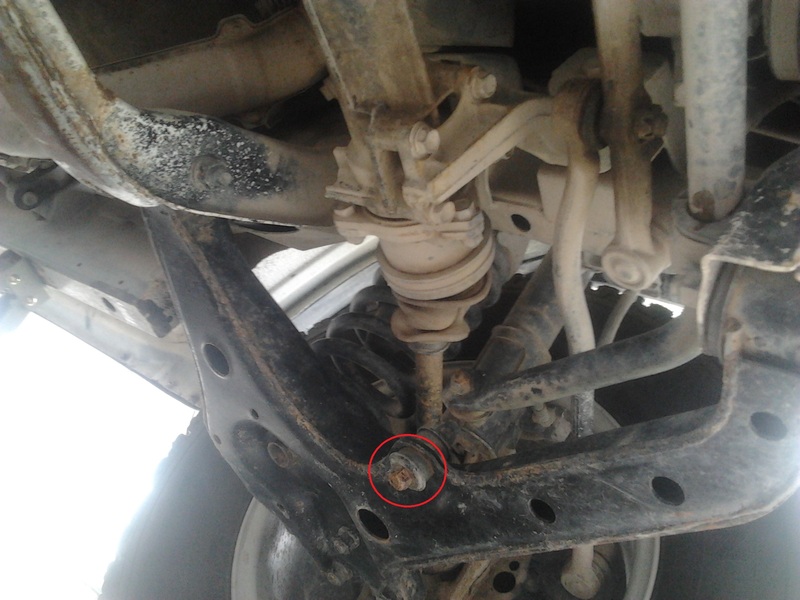 It is a pretty simple process – 6 bolts. 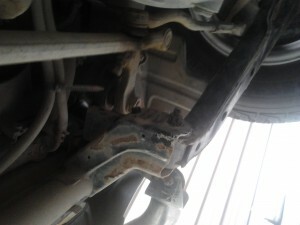 Hi-Lighted is the sway bar/stabilizer arm you are wanting to remove. 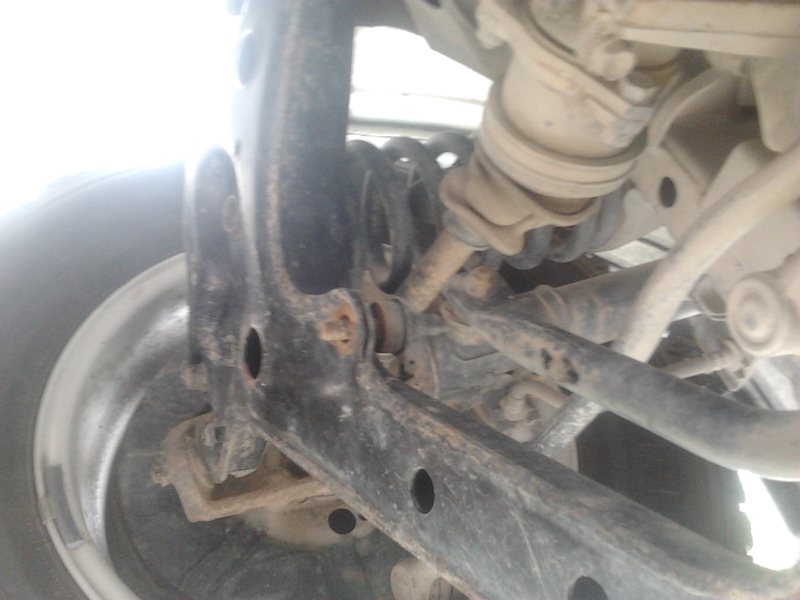 Once removed I found it best to screw the bolts onto the chassis so you dont loose them. 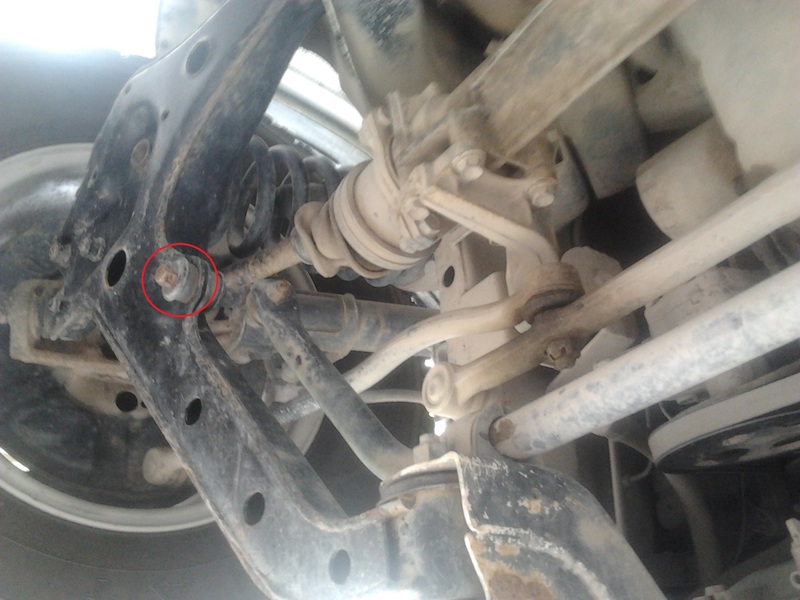 10 minute job assuming you dont stop for a break.